At the end of each year, it's always fun to take an assessment of things. Last year, I started posting my top ten most popular posts of the year, and it's always interesting to delve into the analytics and see what my readers liked best. Hint: It's not always what I liked best! This year it seems that people really liked reading about planners. 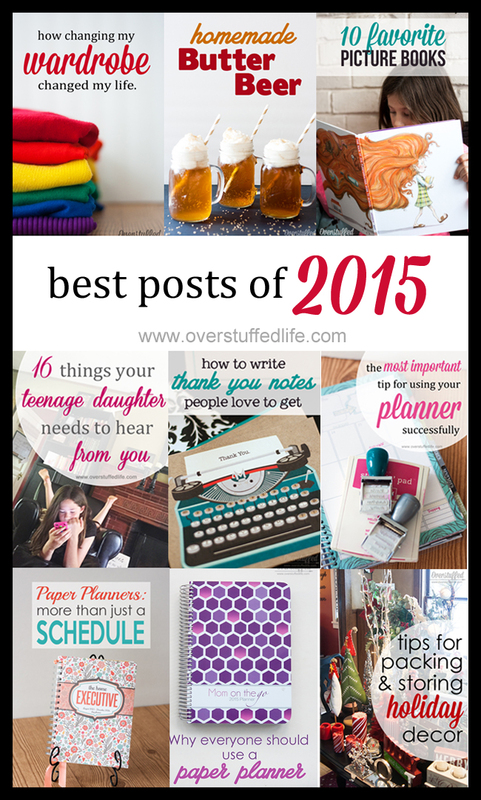 And I agree, who doesn't love a cute paper planner and fun ideas for using it? 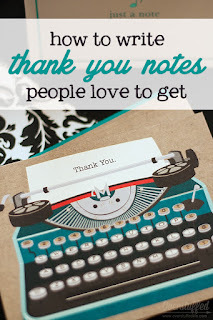 Seriously though, I'm so thankful for each and every reader who comes by this blog to read more. I know I haven't been the most consistent of bloggers this year (as evidenced by the two week Christmas hiatus I just took), but I'm grateful for the growth and support my readers have allowed this little blog. 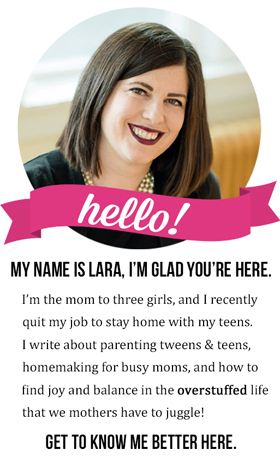 I'm looking forward to 2016 and to sharing even more ideas, book lists, organizing tips, and yes—planners. 10. How to Serve Your Husband the Way He Wants to be Served. Wow. Talk about a controversial post! I have never received so many negative comments about a post! Interestingly, all of the negativity happened on Pinterest—mostly by people who were so upset by the title that they didn't even bother to read the post. It has made me think about the implications of the word "serve" and has made me a little sad that so many women think they shouldn't have to serve their husbands. Believe me, this post is not about being subservient or a slave at all—you only have to talk to The Maestro to know that I'm a pretty feisty wife who doesn't let myself get stepped on in any way. Probably to a fault, actually. 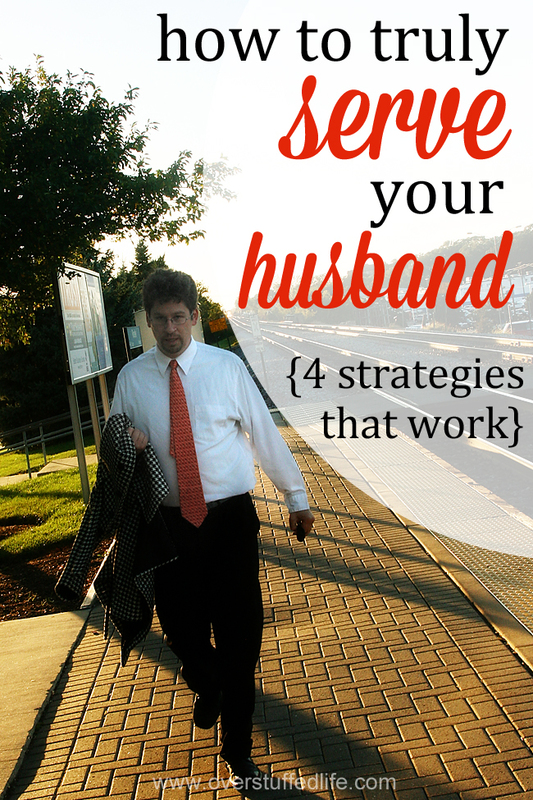 I wrote this post because I recognized that my husband is loving, pateint, kind, and ALWAYS does whatever he can to meet my needs and serve me, yet I'm not nearly as willing. To me, service is a way we show love to others, and what better way to love the one we have chosen to spend our lives with? I'll be writing more on the subject later, as I have a lot more to say! This one is the first post I wrote last year and took right off. 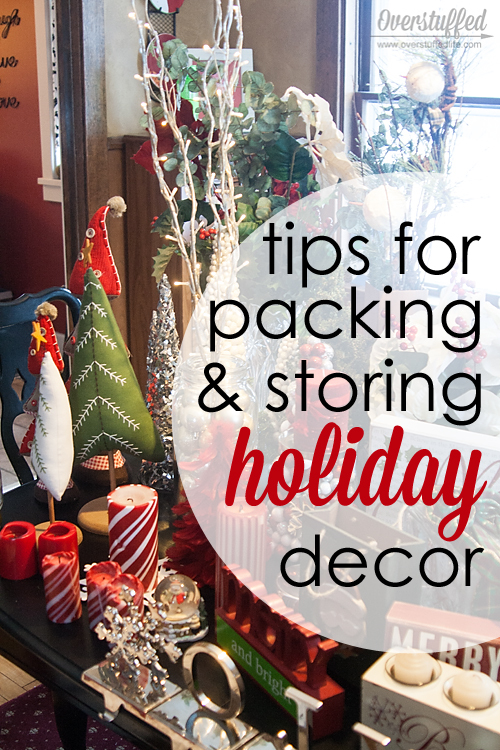 I guess everyone else hates packing up the holiday decor just as much as I do, right? Last year while I took the Christmas decorations down, I decided to document my process. I don't know if it's the best process, but it works well for me and I am able to keep everything organized and can easily find things the next year. 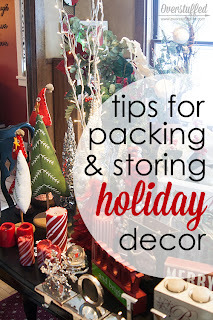 It's never quite the same from year to year, simply because I always buy a few new things and get rid of one or two things that I find I don't love or that are just plain too old to continue to display. The goal is to fit things into the existing bins without having to go out and buy yet another one! It's kind of like putting together a puzzle. 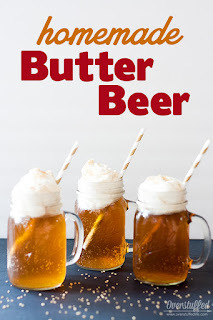 This post is not popular because of the Harry Potter Book Club ideas, I know that. It's popular because of the super yummy homemade butter beer recipe that is one of those ideas. 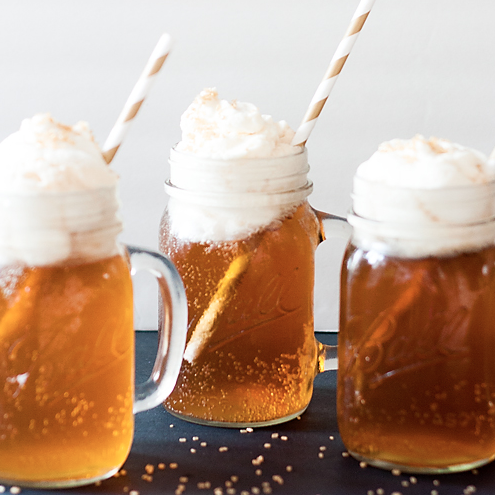 So, no worries if you're not planning on having a book club, you can still make the butter beer just to serve while reading to your kids, or for a Harry Potter themed birthday party, or just for fun. Because it is super yummy. 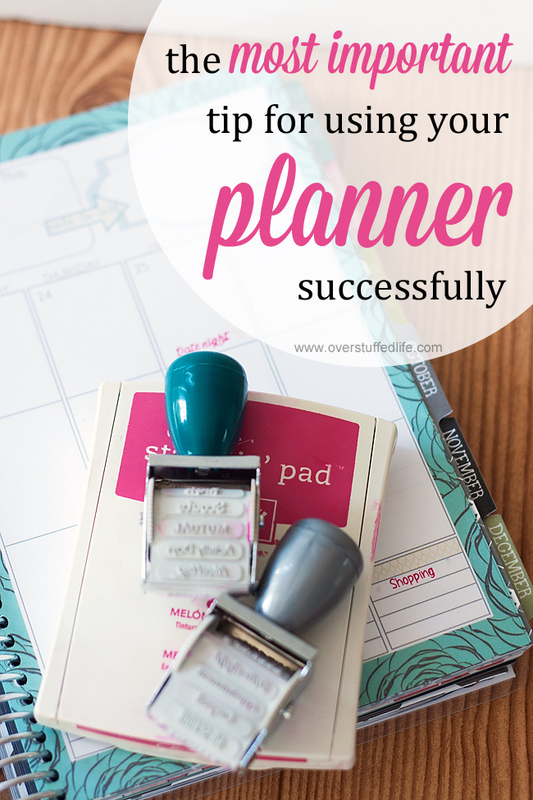 The third most popular of three planner posts this year, this post highlights all of the different ways to use a planner. 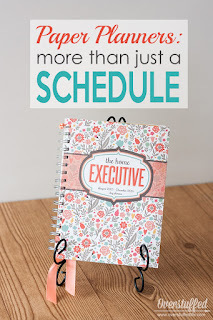 My planner is much, much more than just a schedule. It is basically my entire brain. 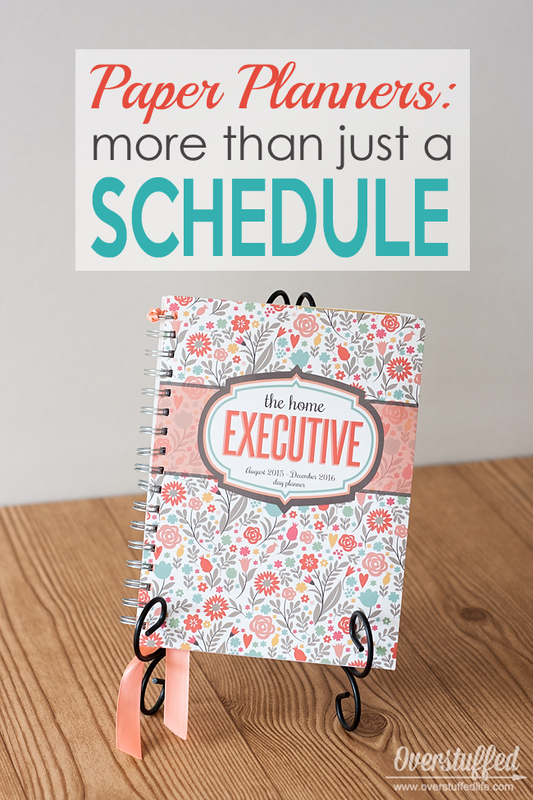 It also highlights the Home Executive Planner, which is a planner I really like. It's smaller than the one I use now, so it's perfect for those who don't want to lug around a super heavy planner. 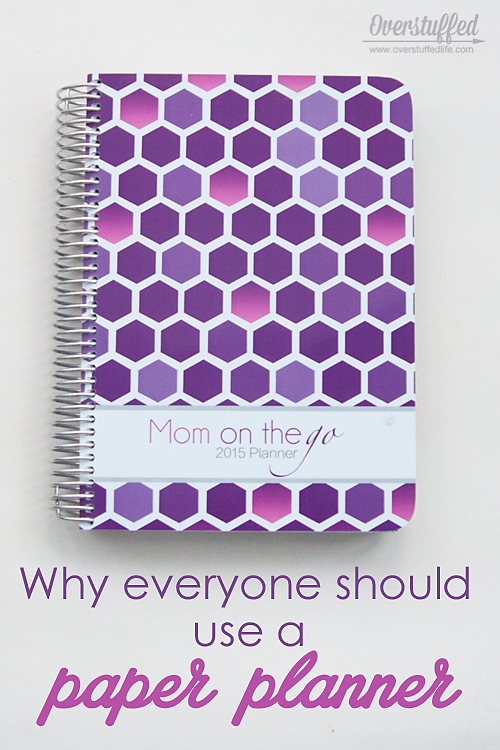 It's pretty, it's affordable, and it has a lot of great pages in it to help with all those things that aren't just scheduling. I recommend it. 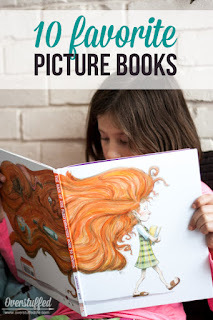 Even though my kids have largely grown out of picture books, we still really love them around here. This list highlights ten of our very favorites that also are not the most popular books out there. 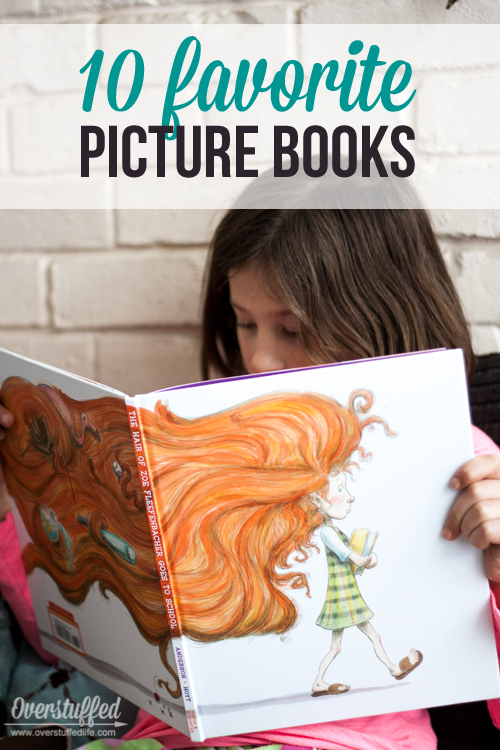 Although a few of them, like The Book With No Pictures have now skyrocketed in popularity, there are still several more obscure, yet absolutely delightful, picture books on this list for you and your kids. Seriously, this tip is no big secret. But it is important! Plus, a highlight of some cool planner stampers that I really enjoy using in my planner. They are especially great for the types of activities that happen over and over again. So much easier to go through and stamp them all in instead of getting writer's cramp, right? I wrote this post in response to all of the help and service I received from my wonderful friends when I had shoulder surgery in February. 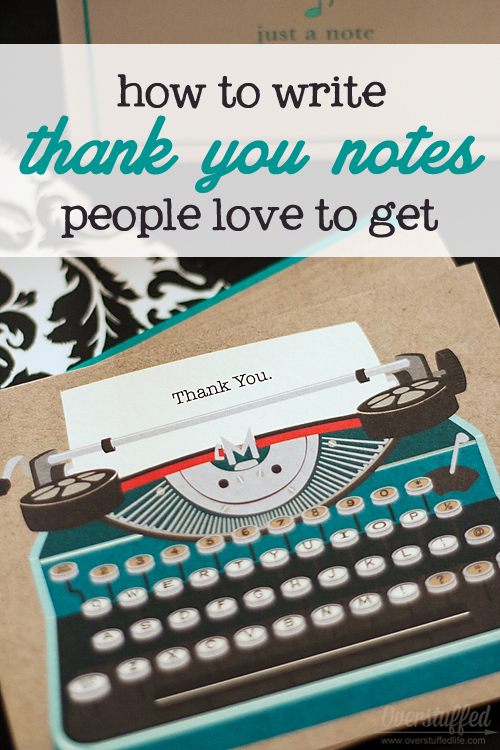 I found myself needing to write way more thank yous than I normally do, and I thought I would share my methods for making sure I wrote them all. That said, I still haven't figured out how to make sure I actually distribute them all. I have one still on my desk for a friend I see semi-often, but didn't know her address...and, yeah. It feels silly to give it to her so much later, but I probably should anyway, huh? 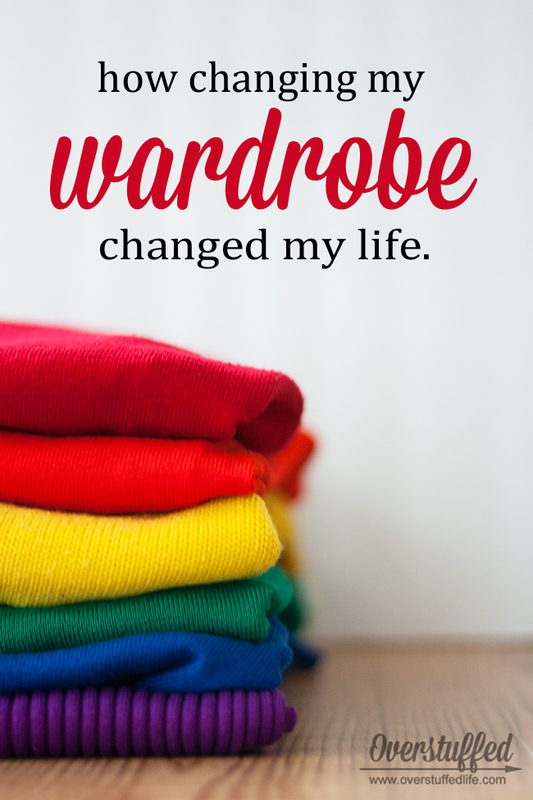 I know it sounds a bit silly that changing my wardrobe could change my life, but it did. I found the Dressing Your Truth system a few years ago, and it has made a huge difference. 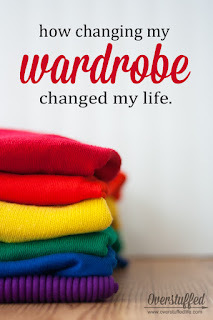 Now I spend less money on clothes, make fewer shopping mistakes when I do buy clothes, and I feel better in my own skin because of the way I am dressed. This has been a life saver this year, since healthwise, it has been a difficult year. Not only did I have shoulder surgery, I was also diagnosed with Lyme disease, and the treatments for that have been no fun. I have really appreciated DYT this year more than ever because I do feel better by dressing my truth. 2. 16 Things Your Teenage Daughter Needs to Hear From You. This is a post that is near and dear to my heart, and one that I need to re-read myself. 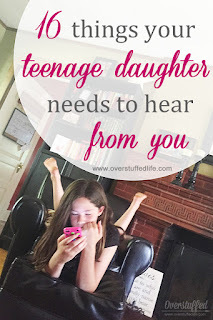 As a mother, it is easy to forget how it feels to be a teenage girl, and I am not always sympathetic to the things they are feeling. I wrote this post more as a way to remind myself what actually works and what doesn't when talking to my girls. 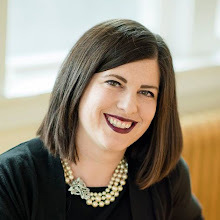 This post is also my favorite post of the year, so I was glad to see it resonated with my readers as much as it resonated with me, too. Now, I don't actually think that everyone should use a paper planner, but I do think that you shouldn't feel bad about using one if you aren't on the digital bandwagon yet. I have tried to go completely digital, and I just can't do it. Paper is the only way to go for me! At least it is if I want to show up to my life. As it turns out, there is actual scientific research that shows that people remember better if they write things instead of type them. So that's one reason to use a paper planner right there, but I have more. 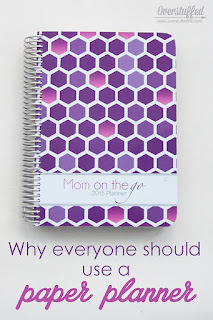 This post featured a giveaway of my very favorite planner, which may be another reason for its popularity, but it continues to be my most oft read post this year, long after the giveaway ended!